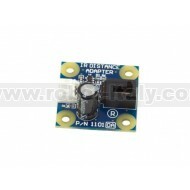 The Sharp GP2D12 Sensor measures distances from 10 cm to 80 cm. Producing a voltage from 0 to 2.5V. This is interpreted as a sensor value of 0 to approximately 500 on the 8/8/8. Note: The Sharp GP2D12 is NOT included in the package. 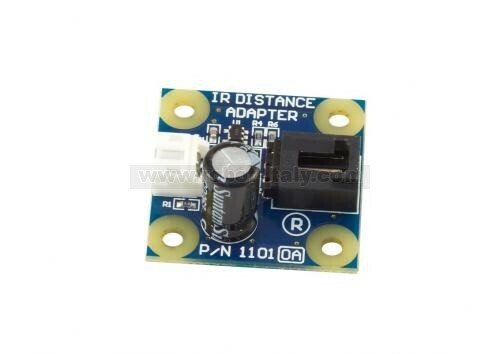 This adapter connects to an Analog Input on the 1018 - PhidgetInterfaceKit 8/8/8 or on the 1202 or 1203 - PhidgetTextLCD.